NO flooded rail line was going to prevent author and television producer Daisy Goodwin from speaking to an eager Sidmouth audience on Friday. The founder of Silver River Productions hot-footed it across London from Waterloo to Paddington in order to arrive on time for the last in this year’s Meet the Author talks at Kennaway House. 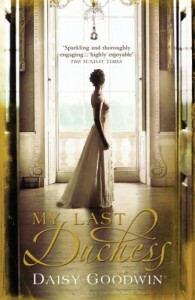 A sell-out audience was there to hear about her debut novel, My Last Duchess, published in 2010 – before Downton Abbey reached the small screen – about Cora Cash, a vastly wealthy American heiress, whose mother is determined to marry her off to aristocracy. In the 1890s of which the novel is set, there were plenty of titled Englishmen looking for new money to marry to keep their estates going, and soon Cora and Ivo, ninth Duke of Wareham, who meet through a riding accident, are married. Born in 1961, Daisy, whose long list of credits as a TV editorial director includes Jamie’s Kitchen, Grand Designs and Home Front, got the idea for her first novel after a visit to Woodstock to give a talk about her memoir, Silver River. At Blenheim Palace she saw a painting of the ninth Duke of Marlborough and his family by John Singer Sargent. The Duke had a loveless marriage to the hugely wealthy American heiress Consuelo Vanderbilt, who brought a $100 million dowry with her. “She was very classy and cultured and was astonished there was no hot water or bathrooms and the kitchen was half-a-mile from the dining room,” said Daisy, who carried out meticulous research for her novel. She delighted her audience with tales from her research, and described the agony of trying to wear a Victorian corset that prevented women bending at the waist. Married Victorian women were not as innocent as people thought, with lots of ‘corridor creeping’ going on at night amongst the gentry. Chairman of the 2010 Orange Prize panel for women’s fiction, Daisy said she liked books “that have a sparkle to them, a good story that is entertaining”. 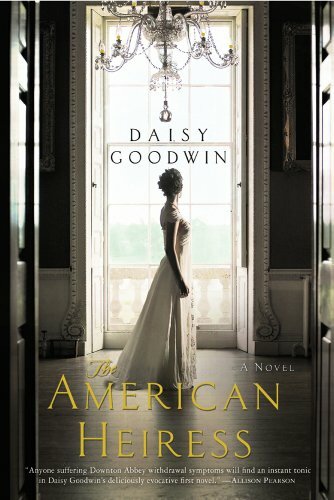 An option to film her novel, called The American Heiress in the USA, has been taken out and Daisy says her Cora is a stronger woman than the Cora in Downton Abbey. Her father was a film producer and her mother a journalist, and after gaining a degree in History at Cambridge and studying at Columbia Film School, Daisy began her TV career as an arts producer, making films about literary figures, devising Bookworm and The Nation’s Favourite Poems Initiative. Married to TV executive Marcus Wilford, she has two daughters and is currently writing her second novel, about the Empress Elizabeth of Austria “the Diana of her day” and plans a sequel to My Last Duchess in the future. Victoria, Daisy's latest book, to accompany the television series will be released in the UK in October 20th and in the USA on 22nd of November. 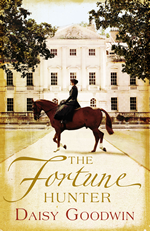 Enter the world of The Fortune Hunter. 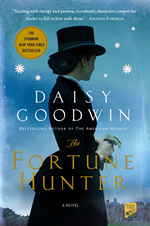 Daisy’s second novel The Fortune Hunter is now available in the US and the UK!